>> Spread the word: Tweet about this workshop and mention the conference Twitter or conference Facebook. See also our Twitter account. Led by Benjamin Stokes (American University and co-founder of Games for Change), Karl Baumann (University of Southern California) and François Bar (also of USC). L.A. 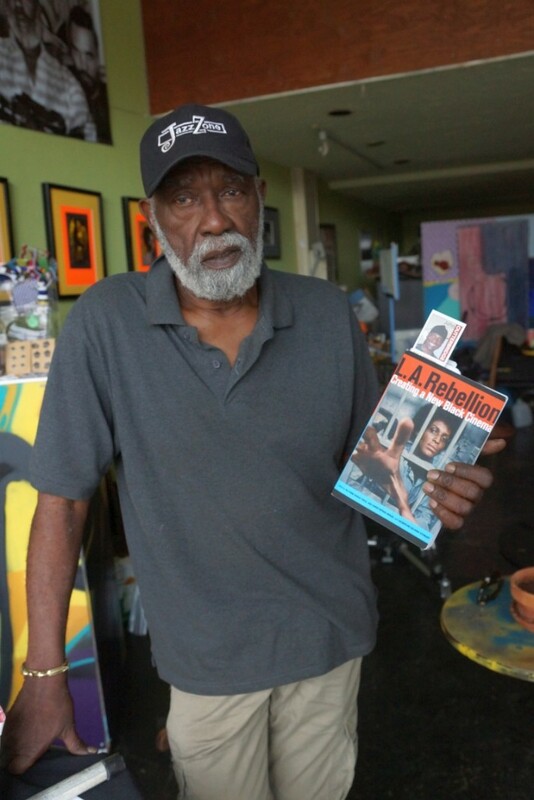 Rebellion: Creating a New Black Cinema is the first book dedicated to the films and filmmakers of the L.A. Rebellion, a group of African, Caribbean, and African American independent film and video artists that formed at the University of California, Los Angeles, in the 1970s and 1980s. The group—including Charles Burnett, Julie Dash, Haile Gerima, Billy Woodberry, Jamaa Fanaka, and Zeinabu irene Davis—shared a desire to create alternatives to the dominant modes of narrative, style, and practice in American cinema, works that reflected the full complexity of Black experiences. This landmark collection of essays and oral histories examines the creative output of the L.A. Rebellion, contextualizing the group’s film practices and offering sustained analyses of the wide range of works, with particular attention to newly discovered films and lesser-known filmmakers. Based on extensive archival work and preservation, this collection includes a complete filmography of the movement, over 100 illustrations (most of which are previously unpublished), and a bibliography of primary and secondary materials. This is an indispensible sourcebook for scholars and enthusiasts, establishing the key role played by the L.A. 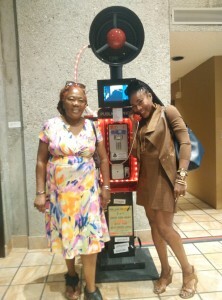 Rebellion within the histories of cinema, Black visual culture, and postwar art in Los Angeles. 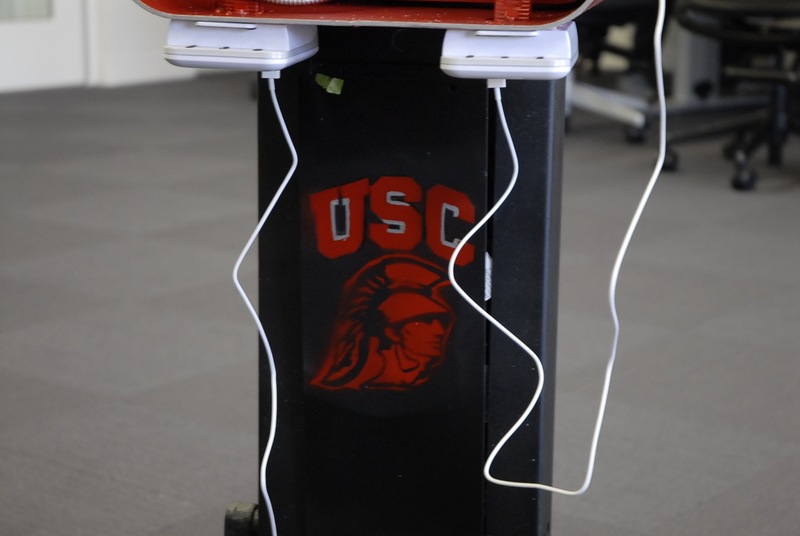 This spring USC Professor François Bar and (then) Ph.D candidate Andrew Schrock brought lessons from the Leimert Phone Company’s community prototyping to a USC classroom! After all, couldn’t students also benefit from thinking through how to use design practices to foster innovative ways to use public space and access cultural assets? 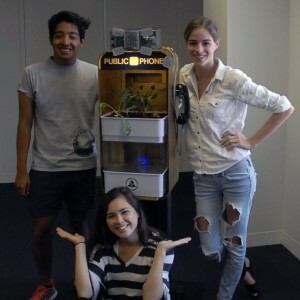 We saw Payphones as an opportunity to”learn through hacking.” Students collaborated through hand-on activities on projects that improved communication in their community. Old friends from Leimert Park came by to guide the teams; Sabelo helped write code, and Patrice helped provide insightful feedback on the two completed prototypes. The below pictures show the progression the teams made throughout the semester, including brainstorming, designing, soldering, painting, wiring, and writing code to make everything work. The “Aquaponics Phone” demonstrates aquaponics – a closed ecosystem of fish, plants and water. 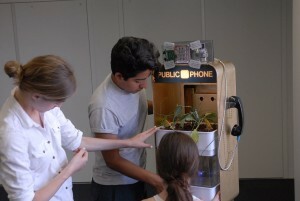 When people pick up the handset it plays a menu to educate people about sustainable food initiatives in their area. 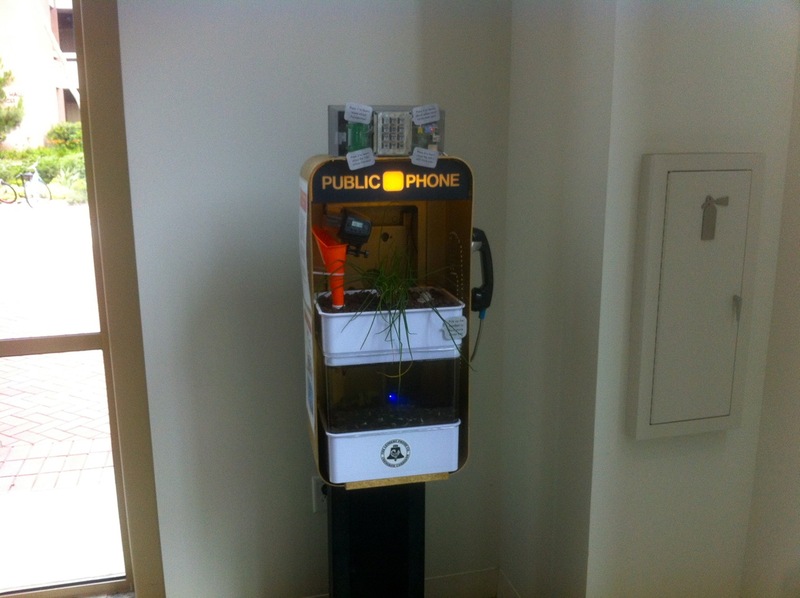 By placing the working parts outside the payphone the team drew attention to the phone while clearing space for the aquaponics tank. The aquaponics payphone was installed in the lobby of the new Wallis Annenberg Hall. Eventually the team hopes it can be installed in Mariachi Plaza in Boyle Heights, where it was initially conceptualized as living. 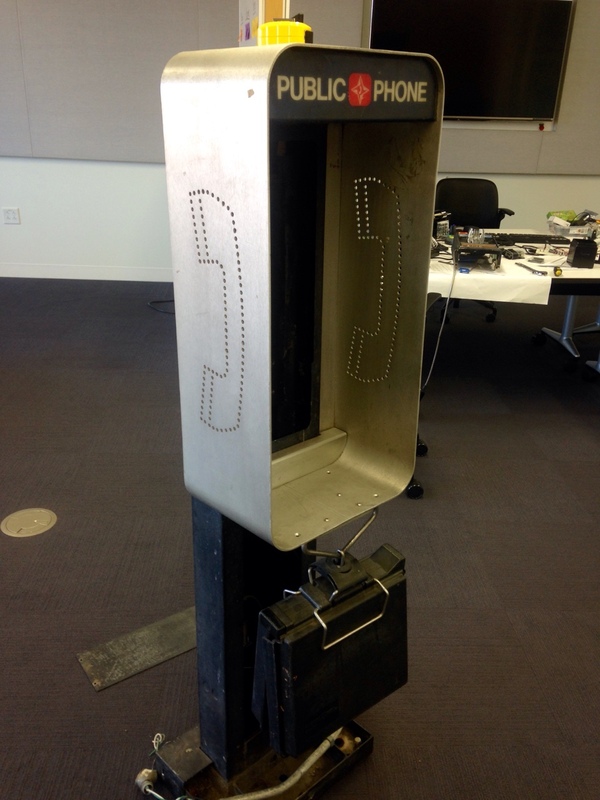 Payphone chassis ready for hacking! The finished prototype, which posts a pic to Twitter! Nice job, Sabelo, Matt & Andrea! “TommyCam” takes place-based pictures in key spots and uploads them to social media. The team noticed that certain hotspots on campus were particularly photogenic. Tours stopped at the Tommy status and people took group pictures in front of the fountain. They had a clever idea to make photographs as much about the place they were taken as the people that were in them. The corner seemed like the perfect spot for a place-based camera. The final phone captures and makes public online all the vibrant social activity and visitors that come through the space. 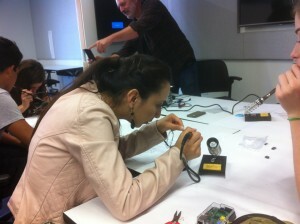 We are hosting a two-hour Saturday workshop at the Digital Media and Learning conference. Register for just the day (June 13, the third day) or see a list of all workshops. Ours will be from 11am-1pm, in the room called The Palace. The sixth annual conference – DML2015 – is organized around the theme “Equity by Design.” This year’s conference calls on us all to promote equity in digital learning practices, and engage in thinking of solutions for addressing educational opportunity gaps in today’s technological world. 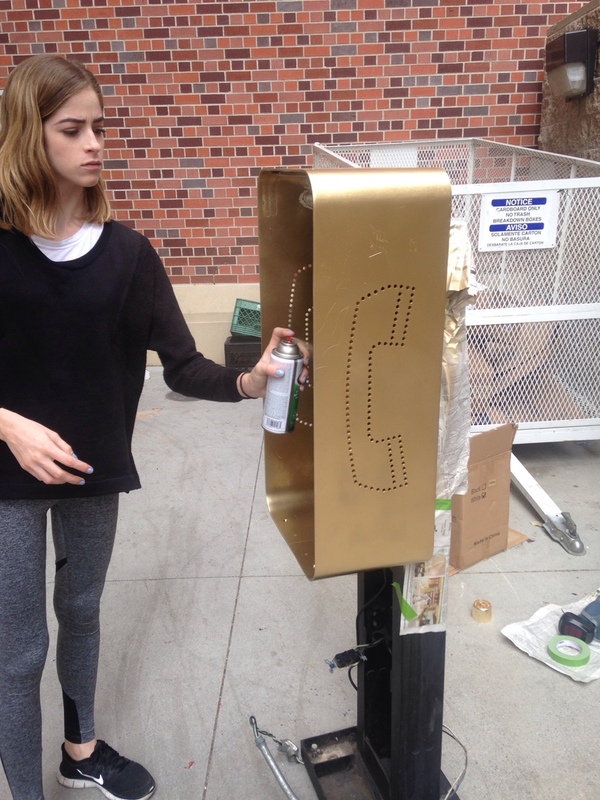 Can rebuilding payphones be a grassroots strategy to combat gentrification? We will lead a workshop for empowering communities across the digital divide, while reinforcing local culture. Join artists from LA’s historic African-American neighborhood of Leimert Park, and learn about “payphone redesign.” In the process, we hope to inspire groups to apply our technical and conceptual tools to issues in their local communities. A key challenge for long-marginalized neighborhoods is how to retain local distinction and community strength. Leimert Park wants to retain its rich African American arts and culture in the face of new investment pouring in after a subway line was announced. Technology alone can actually make gentrification worse. Current models for community technology are often narrow, including short-term hackathons and youth-only training. What’s new? 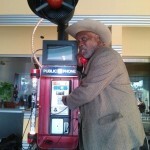 Our model shifts the empowerment debate to the neighborhood level. 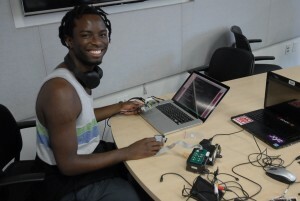 We build group cohesion tied to physical places, and connect artists with techies to tackle local problems. We particularly focus on bridging community and university groups. This session has three parts: introducing the movement to reimagine payphones, sharing low-cost tools, and most importantly working in small groups to apply the approach to other cities and social issues. (1) THE VISION — meet the growing movement to reimagine public objects that blend digital and physical. 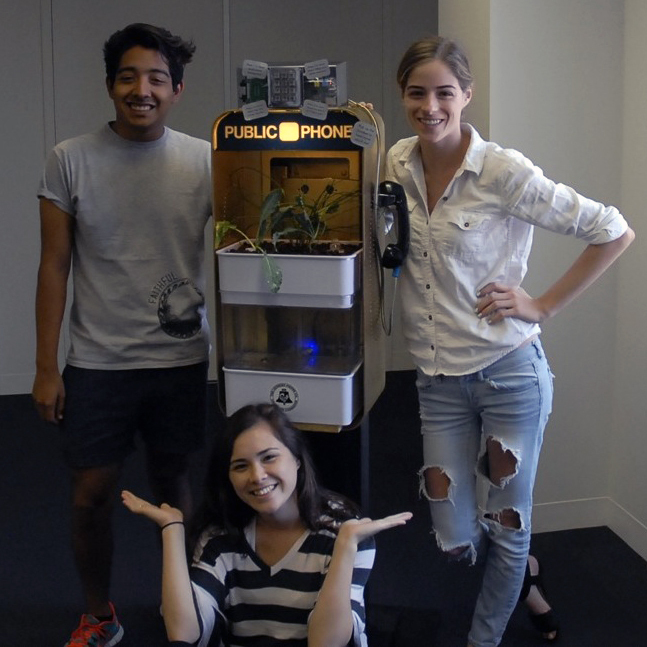 In the first 10-15 minutes, we will showcase amazing payphone redesigns from around the world, including our own project in South Los Angeles. 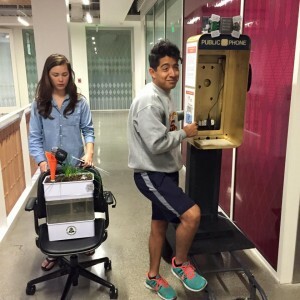 In our case study, we will describe how we purchased 14 payphones on eBay — and rebuilt them, by rethinking social practices and the hardware. 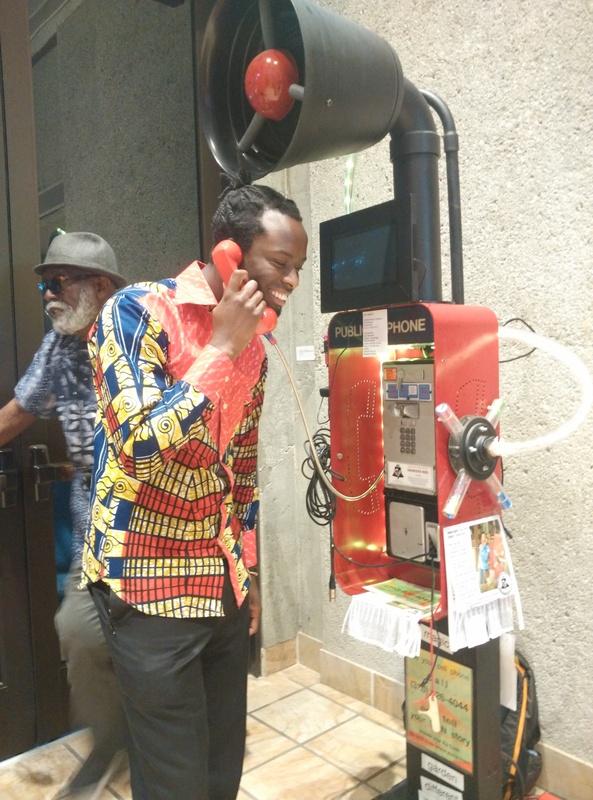 We will bring introduce our installation art piece: a 8-foot rebuilt payphone called “Sankofa Red,” which includes a loudspeaker and microphone for use in public space, and show video of emergent cultural forms — including a “rap the phone” session. We aim to inspire. 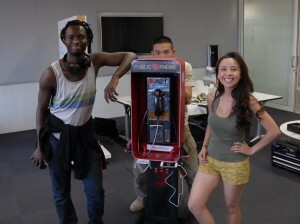 (3) NEIGHBORHOOD PROTOTYPING — small groups will rapidly prototype a payphone design for their own neighborhood. Focusing on gentrification, our prototyping process will show how to keep culture and technology in conversation (based on our research paper). 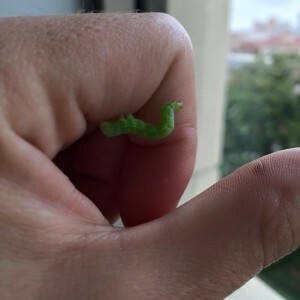 We’ll begin with paper and embodied prototyping, incorporating game design techniques and aligning with social science research on neighborhood storytelling. (The potential for collective action often depends on a coherent group identity and efficacy beliefs that come from local stories.) Each small group will create a working prototype emphasizing voice-based design, which will be played on a real payphone. 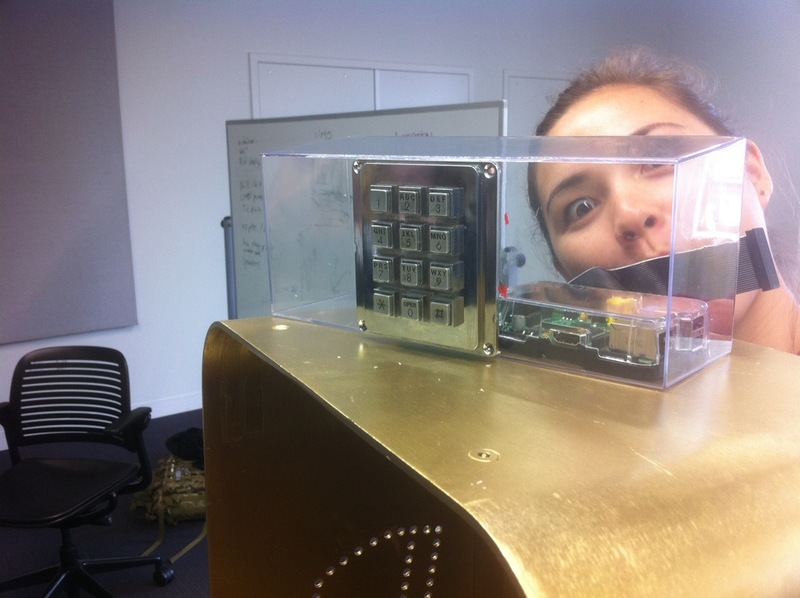 Afterward each team will be offered a “PiPhone,” our custom PC board that connects old payphones to a Raspberry Pi… and the Internet! 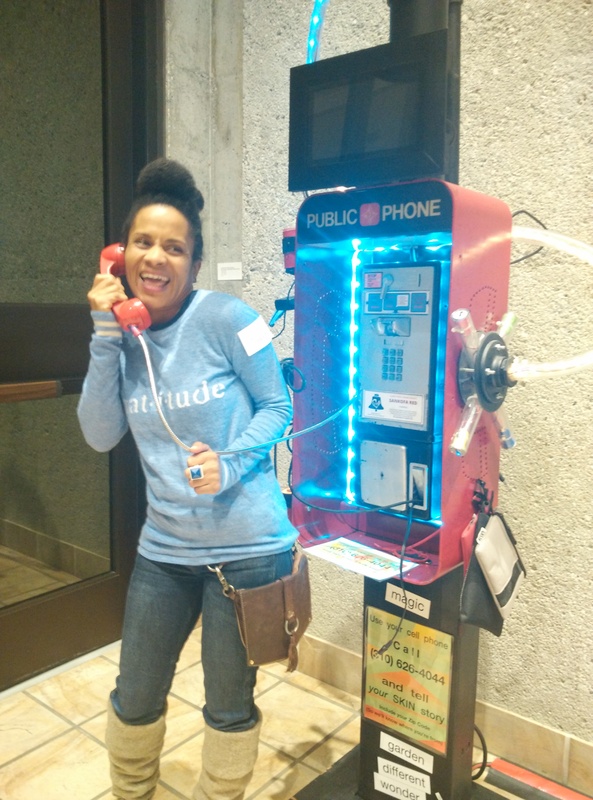 Our goal is to foster an international network of grassroots groups who are rebuilding payphones as a way to deepen local culture while fostering more sustainable economic development. Last week our first journal article was published! The article was peer-reviewed as part of a special issue on urban planning in the Journal of Community Informatics. 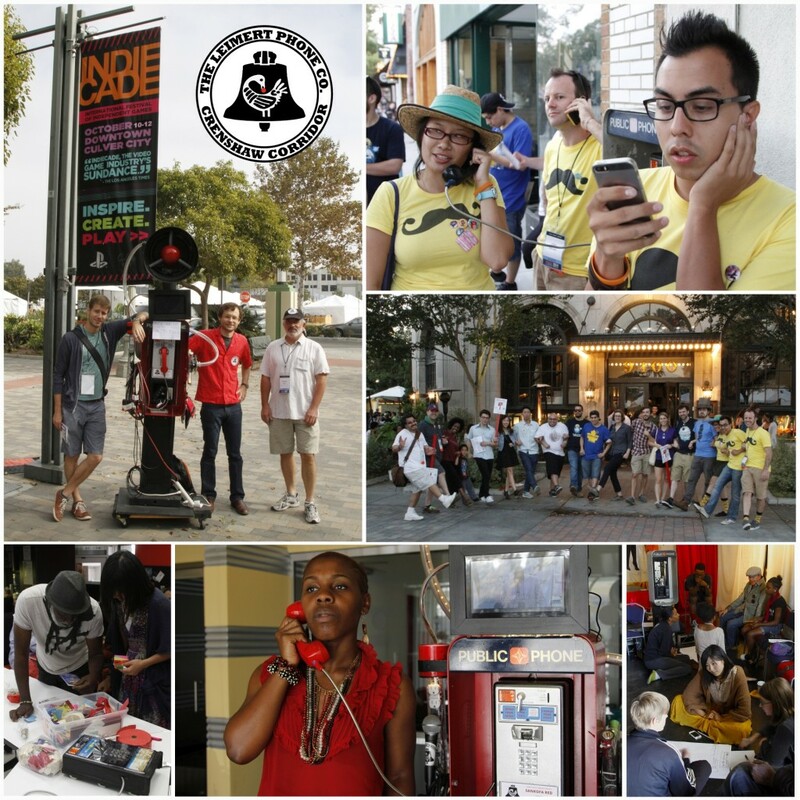 In the paper, we describe the Leimert Phone Company as a case study of how the embedding of technology is a long-term effort that requires social scaffolding, beyond short-term hackathons and planning meetings. Sustain a Participatory Culture. 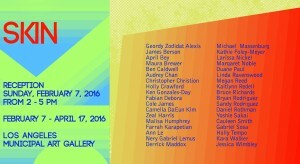 Support a process that is playful and insistently open, feeding off the neighborhood’s cultural practices. Specifically, we echo the criteria outlined for participatory culture by Jenkins et al. (2007), including low barriers to participation and ensuring that all contributions are appropriately valued. Deepen a Neighborhood Story. The neighborhood identity has implications for economic development and civic engagement. Rather than presume to invent the grand narrative or avoid it, find a way to retell it. Begin by identifying the cultural assets that make the neighborhood distinct. Especially for historically marginalized neighborhoods, telling the story of “who we are” gives power and roles for local voices that lack elite technology skills. Mix Technologies of Old and New. Frame the desired product as larger than any single technology, yet cheaper and more obvious than we might expect. For example, consider the role of “paper as mobile media.” Low-tech and low-cost shifts the conversation to planning the social side of socio-technical systems, and helps to build technology skills and confidence in design participants. Rotate Institutions. A central practice of planning is to look beyond the most immediate users to consider all stakeholder groups, including non-users. Power relations between groups are at the heart of sustainability and equity concerns. To resist calcifying at one power hub, deliberately rotate the physical site of design, and recruit a rotating cast of institutional figures. Make sure to scroll through the full article to catch our pictures of the team in action! Unlike many journals, this one is proudly free and open-access. Co-authors were Benjamin Stokes, François Bar, Karl Baumann, and Ben Caldwell — but the article mentions the amazing work of many people in our team.